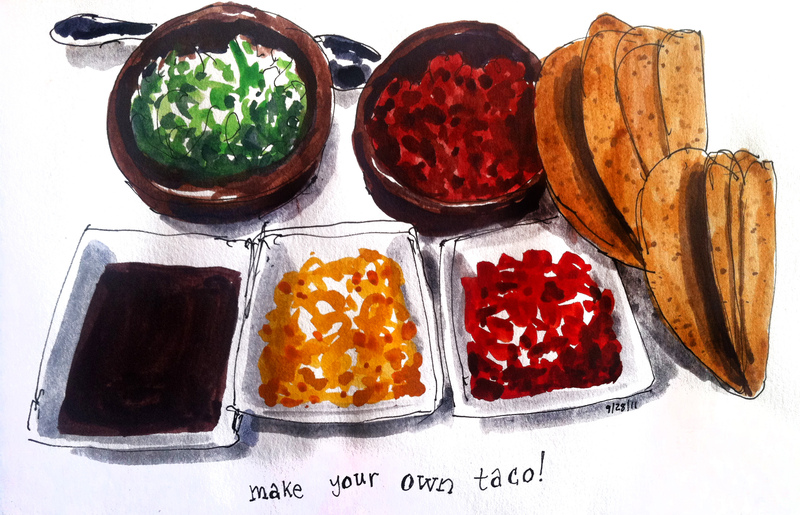 Tuesday night at Tacolicious is make-your-own-taco night. Old school hard shell taco replaces the the usual soft shell, and it's accompanied by fresh lettuce, tomatoes, and cheese—all for you to administer as you like. A tasty (and fun) change of pace!